As a guide, the height of an Aquaflex dome will be approximately half the width, for example, a 20’ wide structure would be approximately 10’ high. This will vary slightly. 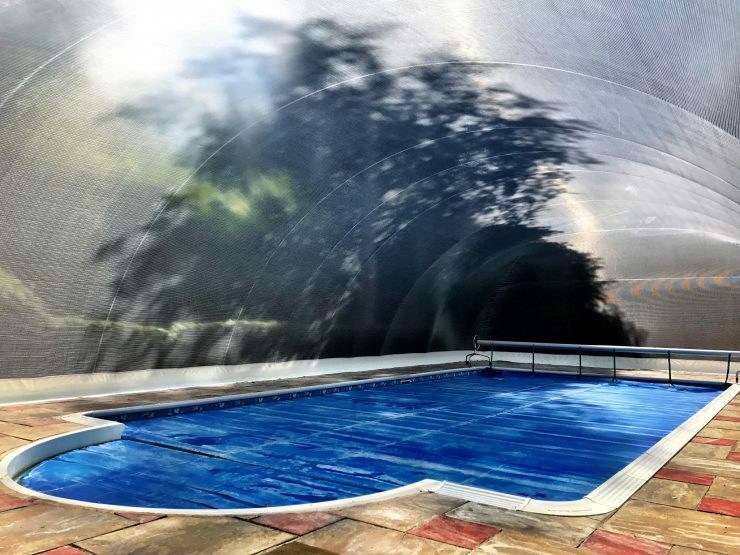 If it is essential that the height is kept below a certain level Aquaflex can manufacture a special low profile structure. Always check with the local Government Planning Office prior to purchase. 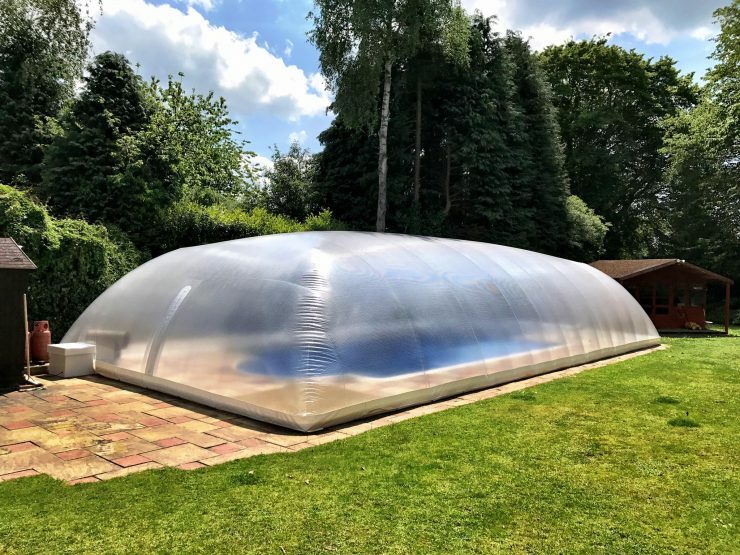 The structure is inflated using a fan mounted in weather proof housing. The air funnel of the fan housing is placed beneath the water tube or cable fixing.